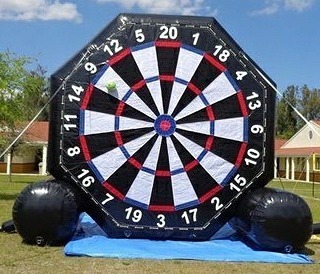 Our newest inflatable interactive game is here and its two games in one! 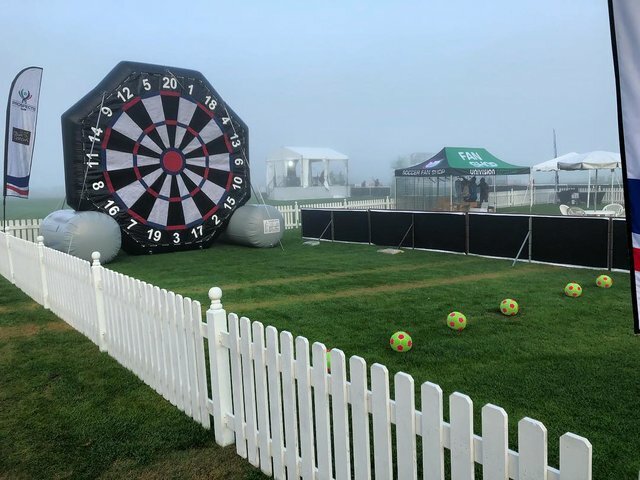 Perfect for a soccer fan or any other sport fan to compete and challenge their aim! 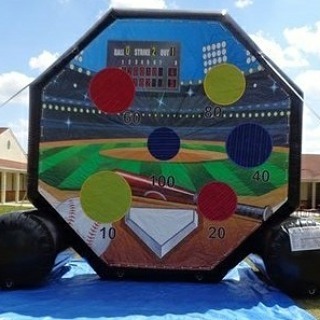 One side has a dart board that the velcro balls are kicked at, while the other side has velcro spots located on a baseball field to see who can get the high score! This interactive is garaunteed to entertain the whole party without a doubt.